1. Kiss Estelle.2. Get a job.3. Cheer my mother up.4. Try not to be a complete nerd/loser.5. Talk to my father when he calls.6. Figure out how to be good. Fiona Wood lives in Melbourne, Australia. 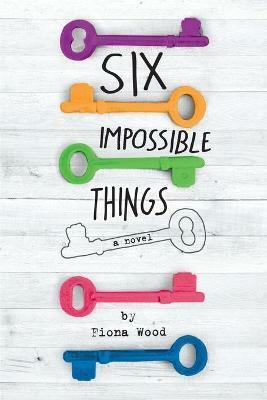 Her first novel, Six Impossible Things, was short-listed for the Children's Book Council of Australia Book of the Year (Older Readers). Wildlife, her first novel published in the United States, was named the Children's Book Council of Australia Book of the Year (Older Readers) and was short-listed for various other awards.